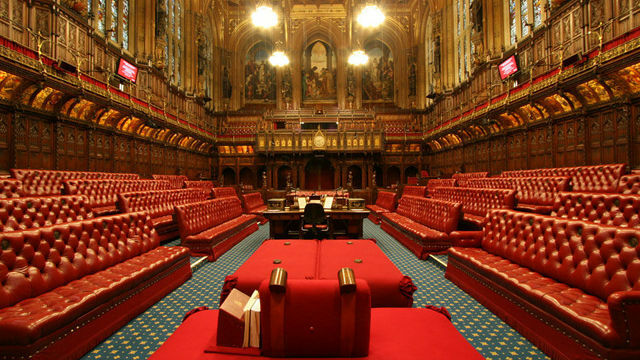 My grandfather told me that before the arrival of Life Peers in 1958 that the House of Lords was dying on its feet. It had failed to die in a ditch in 1911, but the shadow of reform or even abolition still hung heavy over it. There were no expenses paid and, with a number of shining exceptions such as Lord Carrington, many of the capable peers were too poor to attend and many of the rich too stupid to be of much use. Nevertheless, Their Lordships still enjoyed considerable kudos. My grandfather as Leader of the Lords conducted a running battle to keep at least three peers in the Cabinet. A declining body of opinion still maintained that the hereditary peerage partly fulfilled the Victorian wish for an equilibrium between the classes and was an embodiment of the Burkeian unspoken contract between past, present and future generations. You could still detect a whiff of the romantic view that, for some of Their Lordships’ at least, politics should be a duty, rather than a career. Not many attended and few of those that did were Stakhanovites. Causing trouble risked abolition or, at least, radical reform, so there was little incentive to challenge the Other Place except by argument and moral suasion. Powers of delay were therefore rarely exercised. After 1958, the situation changed somewhat. Some distinguished people were ennobled, including a number of formidable women, and, what is more, they turned up. They began to carve out an enhanced role for the upper chamber. The House of Lords became more of an expert House and it began to take more seriously its role as what the great Conrad Russell called the “legislative housemaid”. In other words, it became a more effective revising chamber. Yet, it still was careful not to challenge the Commons too often. Theoretically, there was still an enormous inbuilt Tory majority, but, although when necessary the backwoodsmen could be whipped in, a wise Tory Leader would not encourage the practice. The business of the House was conducted on the basis that the government of the day should get its business and that a concession of half a loaf would usually do. If a Labour government was in power the statistics show that Their Lordships defeated it sparingly, but marginally more often than a Tory one. It was Parliamentary government by nod and wink through the exercise of restraint. Indeed, it was said that during the era when Lords Carrington and Shackleton swapped the leadership for membership of the Rio Tinto Zinc board, depending on which Party was in power, the two statesmen lunched together once a week to decide what Their Lordships would rebel over. Si non e vero….. The arrangement also worked because the House of Lords contained relatively few former MPs. Their style was courteous, deliberative and self-regulatory. It was a conscious contrast to the bear-pit of the Other Place. Their Lordships were proud of that. Today’s House has changed. Apart from the party apparatchiks, too many of Their active Lordships were once in the House of Commons and they tend to find the habits of the upper house alien. They longed for a Speaker in the House of Commons sense and have got half way there. They have little regard for the old conventions of behaviour where, for instance, peers used to deprecate speaker after speaker in debates repeating the same points that previous speakers had already made. There are now far more active peers than before the Blair cull of the hereditaries. They mostly turn up and want to take part: admirable though that is, it makes for an overcrowded chamber and invites ridicule, particularly at £300 a day. It equally makes the House more difficult to control. None of this means that the House doesn’t do useful work. Its job as a legislative housemaid is more important than ever, now that ministers legislate for show rather than effect and now that the House of Commons all too often gives only the most cursory examination to bills (another poor example set by Tony Blair). It also is more than valuable as an expert House and some of its committee work is exemplary. At its best it vindicates those who believe in bicameral parliaments. There is one other important function of the Upper House. It has the right to delay legislation, effectively by up to a year. It is by exercising this power that Their Lordships most often get themselves into trouble with the Other Place. Legislative timetables are always tight, so governments are always in a hurry. If they rebel too often or over an urgent piece of legislation, governments are never slow to remind peers of their fundamental illegitimacy. Since 1911, that has usually been enough to put the upper house back in its box. That is no longer the case. The Lords is becoming more rebellious, not only on detailed legislation, but also on big questions: and there is no bigger question at the moment than our departure from the European Union. Now I am a convinced Brexiteer. I even voted “no” in 1975. I believe that our departure will present this country with the greatest opportunity since Henry VIII’s breach with Rome. There will be much in the way of blood sweat and tears on the way, but restoring the supremacy of our national law and rebuilding our strong representative institutions are the prerequisites for sustained prosperity and a successful polity. An ancient regime like the EU, governing from the top down, seldom effectively accountable, burdened as it is with the poverty-creation machine that is the single currency, cannot possibly give us the same chance of long-term success. The majority of members of the Lords, brought up in the age of Ted Heath and Macmillan and believing that the best we can hope for as a nation is the elegant management of decline, disagrees. They profoundly believe that our destiny should be as members of the EU. It wants to use the House’s power to amend and delay to frustrate Brexit. That is its constitutional right. The great argument for an unelected House is that it need not be the slave of the electorate. If that House believes that we are committing national suicide by leaving, it is its constitutional duty to forget the games former Leaders of the House used to play with the House of Commons and use its powers to frustrate the government from embarking on what it sees as a disaster. No matter that the electorate has spoken on a high turn out, no matter if its resistance leads to Its own abolition or radical reform. To continue the 16th century parallel, resistance to Henry may have led Thomas More to the scaffold, but it did not do his reputation any harm, even though he was wrong on the big question. He died for his beliefs, even if he wasn’t as nice a man as Robert Bolt made him out to be. You might object that that is far too bald a view of their position. Are they not merely looking for proper parliamentary scrutiny? They are not standing in the way of the government. Oh no! They merely want to load the bill with a demand for justice for European nationals living here and the chance for Parliament very properly to scrutinise the final Brexit deal. The trouble is they have chosen the wrong bill to do the first of those things. This bill is to trigger Article 50 only. And if Parliament wishes to examine the final deal, even if the government were to resist, all it has to do is vote to do so. It does not need to embody that intention in legislation. No,these are merely specious devices to continue the referendum battle. So the martyrdom parallel does apply. They do want to kill Brexit. How should the government react? It would be unwise to deny that members of the House of Lords have the right to exercise their powers. They could, however, justly argue that the House of Lords would be unwise to do so. After all, any Leader of the House of Lords knows that, tactically, a fight with the people as allies against the government can be successful, but a fight by the House of Lords against government and people together is doomed to failure. And this fight is the latter. Polling and focus groups suggest strongly that there is no buyer regret among those who voted leave and that now most leavers, too, want the government to get on with it. The government will have to grind out the conflict. It will win in the end. However, it could also use this battle to raise a more fundamental question. The perceived illegitimacy of the Upper House has been an unresolved matter for well over a century. Even in the salad days of the nod and the wink, the constant proposals for abolition and reform showed that 1911 and 1958 had not finished the business. The 2001 reform legislation explicitly said that it had not settled the matter. Indeed no one is really satisfied with our present arrangements. Equally, in spite of an avalanche of hurried constitutional changes over the last twenty years, no one is happy with our broader constitutional arrangements either. Indeed, Allan Massie among others has said that SNP leader Nicola Sturgeon may find that her rhetoric and her wild Rob Roys force her into a second referendum. If Unionists were to rely on “project fear” this time round, without a more positive argument for the advantages of the Union, we Unionists could lose in spite of independence condemning Scotland to penury. It is increasingly clear that constitutional matters and Brexit are closely linked. Not only does Sturgeon use the referendum result to demand a second independence referendum, but difficult questions like how far to devolve powers repatriated from Brussels are still to be tackled. Brexit is an opportunity for the country to renew itself. For such a renewal to have a chance of working, we need a constitution that works. The government’s fight with the House of Lords is not its chance to condemn Their Lordships for exercising their powers as they see fit. It is its chance to use Brexit to reform the House of Lords in the context of a broader constitutional settlement. Taking the initiative on constitutional matters from both the Remainers and the SNP is an alluring prospect. Success would also be a condition precedent for a workable United Kingdom after Brexit. Lord Salisbury is chairman of Reaction. This article was originally published in Reaction. You can access the article here.